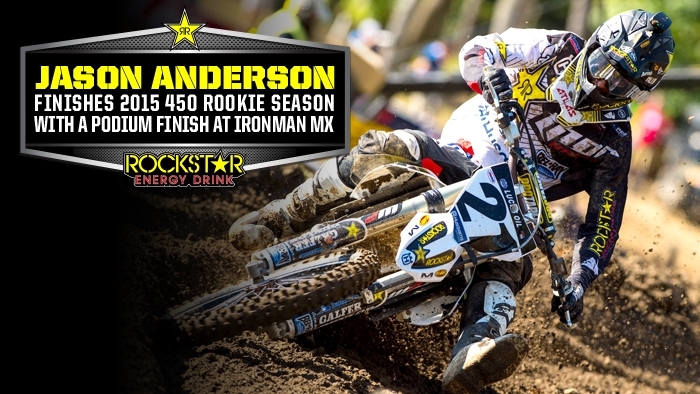 Jason Anderson: "My weekend was pretty good. I had two good practices and a good first moto. In the last moto I kind of fatigued a little bit I was still able to stay in 6th and go 2-6 for an overall podium which is pretty cool to end the season like that. I wanted to finish the season with a podium so that was good. Next up is the USGP. I wish it was at different time in the year but I am excited to do it. We're going there on the new bike and I'm really looking forward to that!"